Mexican corn dip is a family favorite and usually disappears faster than it should. 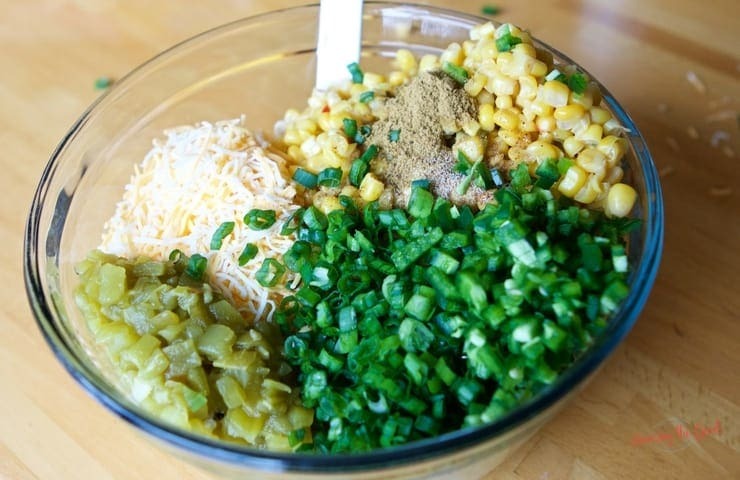 My easy Mexican corn dip recipe features Mexicorn, roasted green chilies as well as shredded cheese. I serve my Mexican corn dip with Fritos but any scoop-able chip will work. Now you know how to make Mexican corn dip! If you like a dip appetizer or snack, you will want to make pizza dip on the grill! If you want to dip more chips scoop up my favorite black bean salsa recipe. 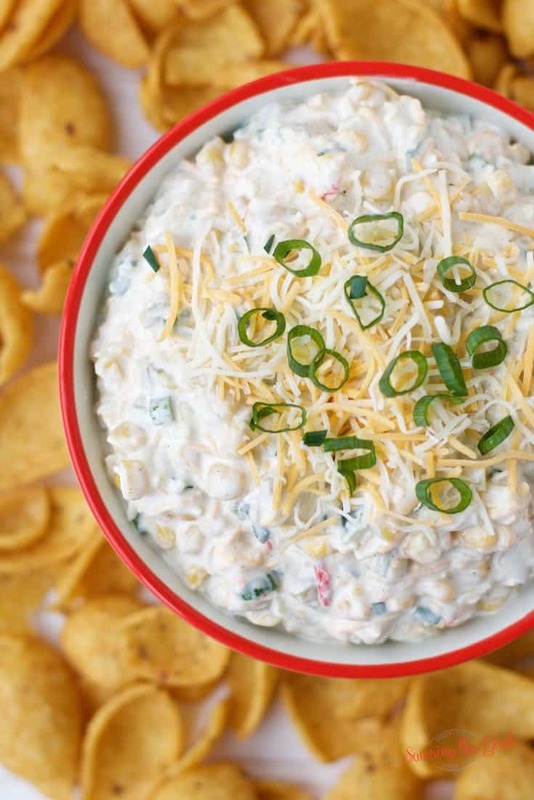 This dip is great for not only football games and potlucks but for munching on while watching Netflix. I will say that this dip is truly addictive! The jalapeno pepper is completely optional, but I highly recommend it. The Mexi-corn in found next to the regular canned corn. Don’t forget to drain the water off of the Mexi-corn. The dip will be too ‘loose’ if you don’t drain the water off of the corn. Allow the dip to chill out in the refrigerator for at least an hour. Over night is best but it is rare I can wait that long. I am a huge fan of the Fritos Scoops! The shape is perfect and the corn crunch is the perfect compliment to this dip. Also…get the party size bag….you will need it. But if you can’t find Fritos Scoops! go for a cup shaped corn chip. I have done traditional tortilla chips and while they are good, and will work in a pinch, a corn chip is NEEDED for this recipe. 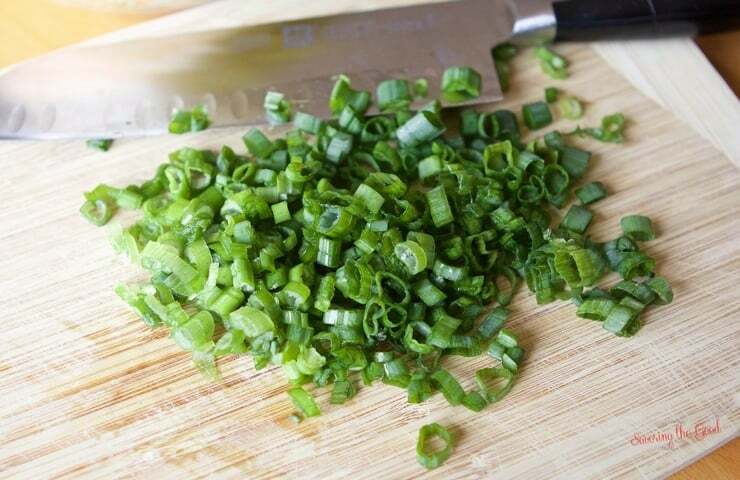 Truth be told, I don’t normally garnish the dip with shredded cheese and extra sliced green onions BUT for the sake of pretty pictures, I did just this once. I love this! My mom use to make something similar. I prefer the fresh corn over the canned corn.